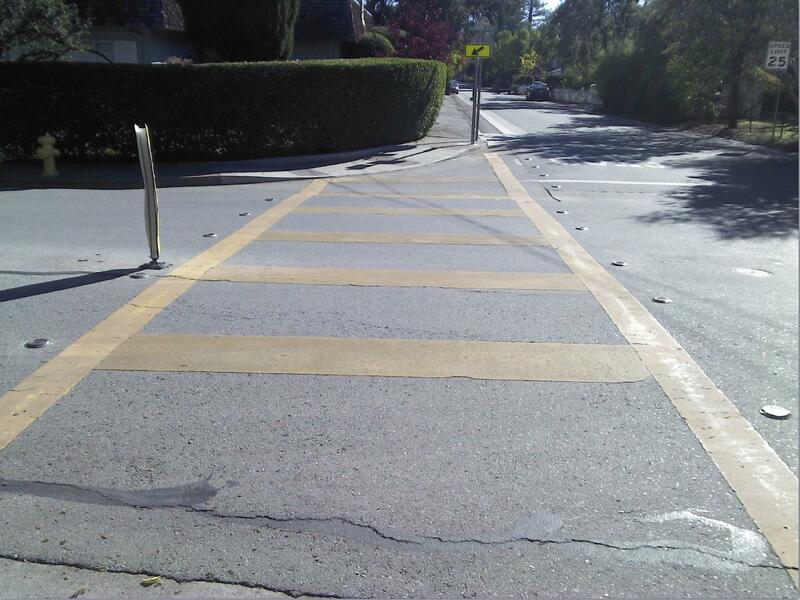 I have an image of a crosswalk, and its very hard to do processing on it to detect the crosswalk. 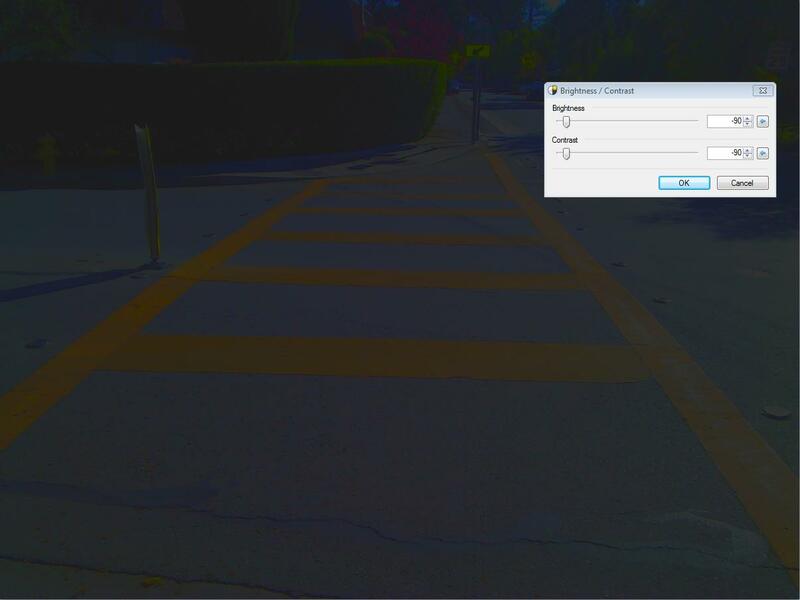 I was playing in paint.net and stumbled upon changing the contrast/brightness, I was able to EASILY distinguish the crosswalk so that I could threshold with HSV values. Btw I am running this on my android phone. In other images where its even more poorly colored, this does a great job too. I was wondering how I could replicate this effect in OpenCV, what options are there?